I’ve got the Summer BLUES….and greens! 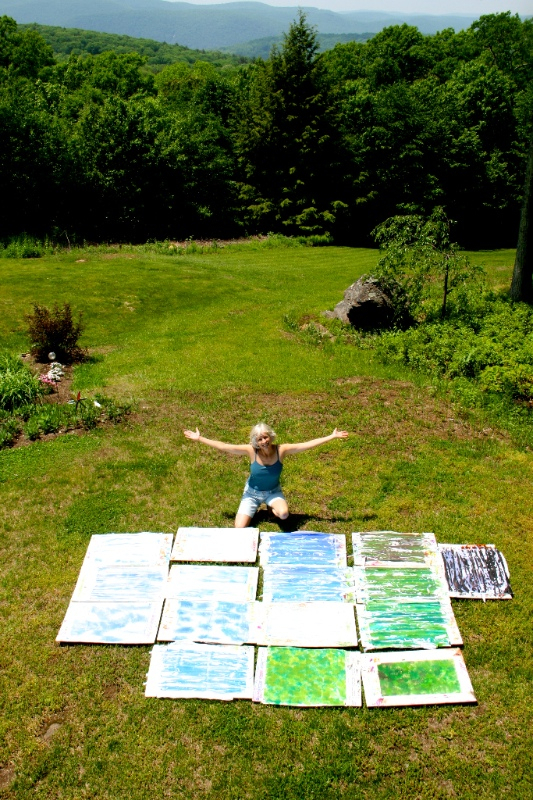 Time to paint fabrics again, specifically sunprints with tissue paper. 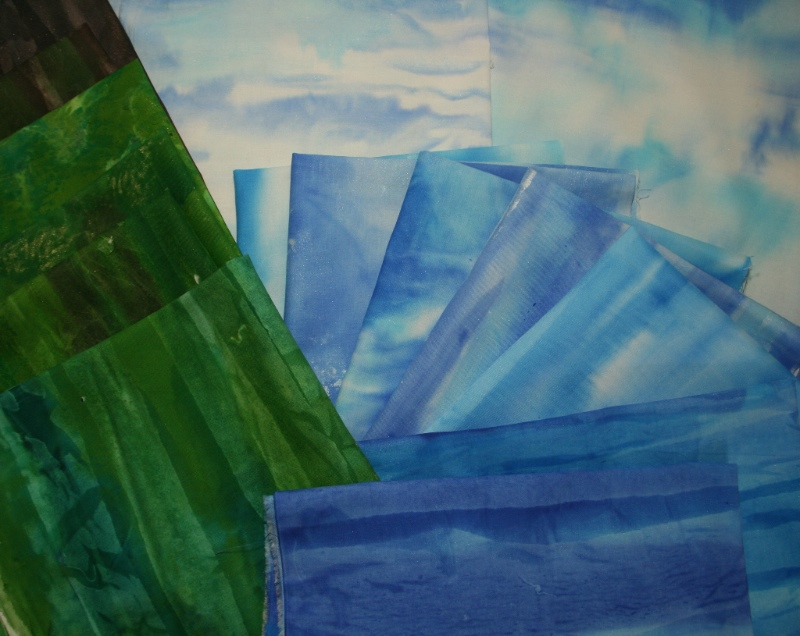 Here are the blue and green fabrics I painted recently and dried in the Summer sun. Thank you for joining me today. I have some fun videos to share with you in this issue. Both have to do with sewing curves, one in a skirt and the other in a quilt. As some of you already know I love to add curves to my artwork. 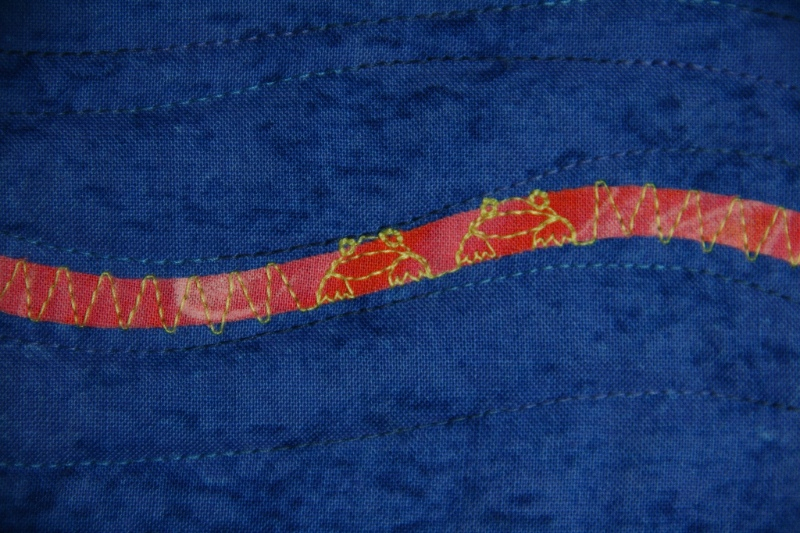 They usually are topstitched using the technique in my Layered Waves and Accidental Landscapes, which makes them very easy to do. 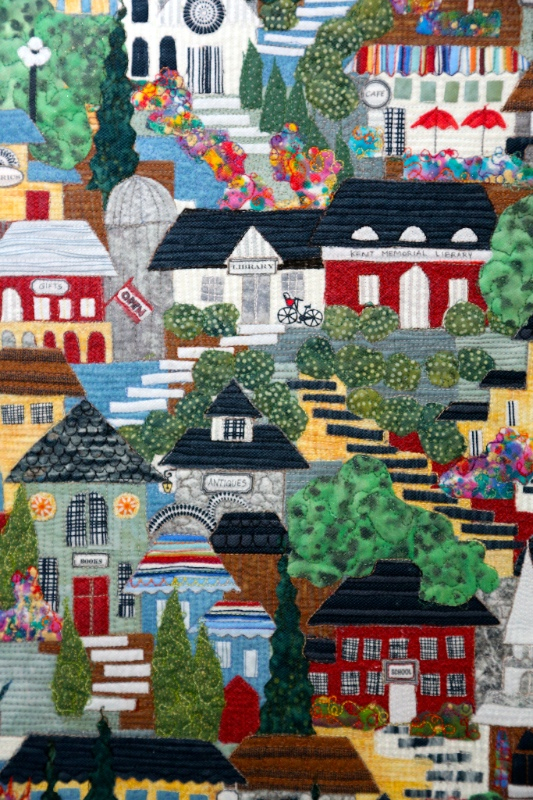 When I’m not making curves I like to play with fabric in a collage style, adding to my Happy Villages series. The latest New England inspired village is now finished. More on that below. A quilting friend, and you know who you are Sally, suggested that I really should be adding my Layered Waves to a skirt. She kindly supplied me with link to a great free download pattern for a draft-it-yourself 6 gore skirt from sewingmamas.com. So far I have made 4 skirts and have the fabrics selected for a fifth. 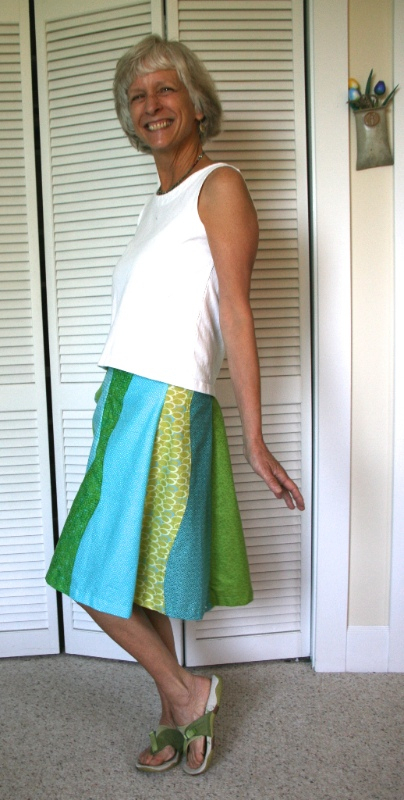 These skirts are such fun to make AND wear, that I had to share it with you. This video shows you how to add curves to a 6 gore skirt pattern. Notice that I have 12 fabrics (2 in each gore) in a Summer selection of blues and greens. Enjoy! 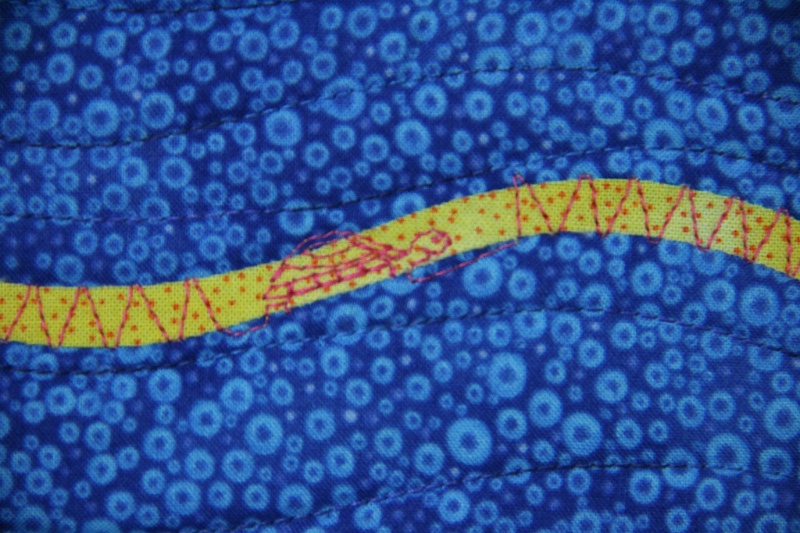 More curves, but this time we draw them and fuse the wavy fabric strips with an iron to the background block. 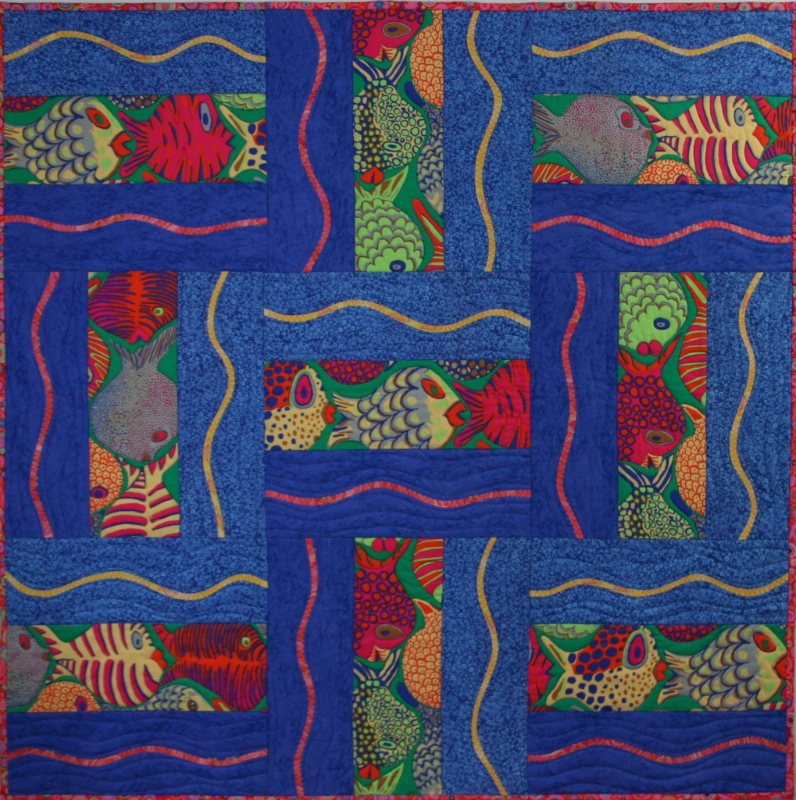 Decorative stitching of zig zags along with little crabs and turtles add the finishing touch to this wallhanging or baby quilt. 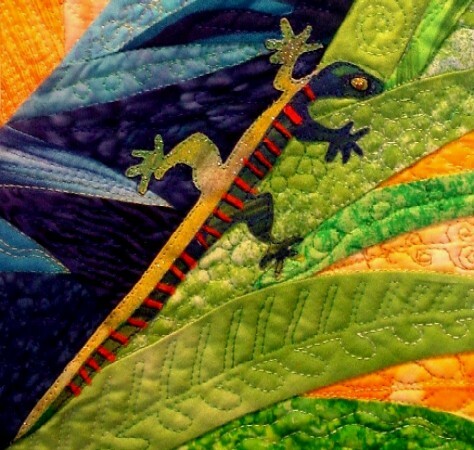 This video includes the drafting and quilting of the fused wavy lines along with complete printable instructions for making the quilt. opening reception on Saturday, September 10th, from 4:00pm - 6:00pm. The address of the library is 32 North Main Street, Kent, CT 06757. 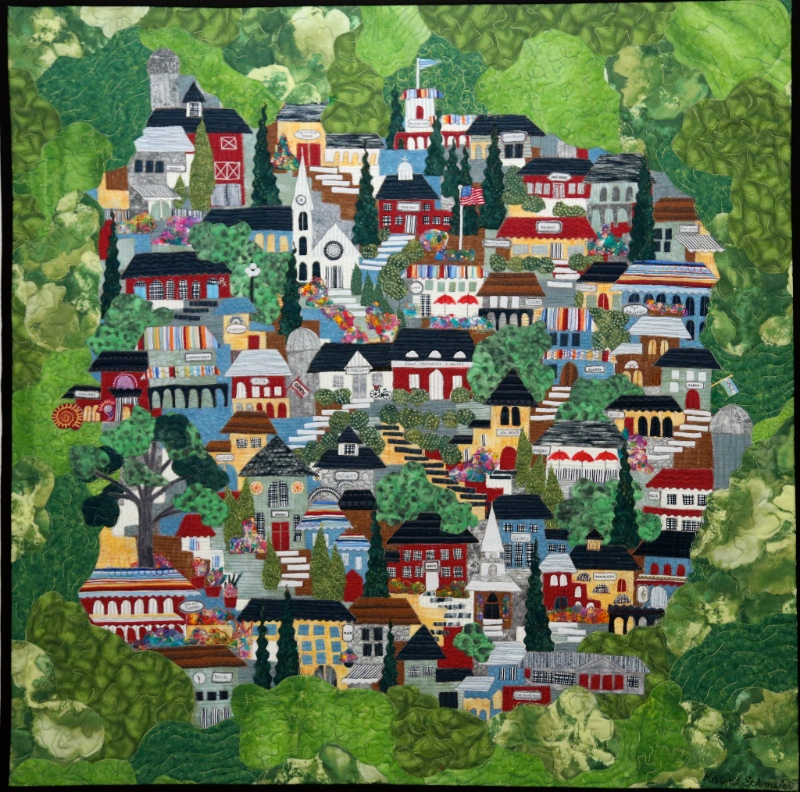 Located in the NW corner of the state in the foothills of the Berkshire Mountains, our little town has a lot to offer visitors…a cute shopping street with one traffic light, fun boutiques and stores, the Appalachian Trail nearby, Kent Falls State Park, Macedonia Brook State Park, Lake Waramaug State Park, a covered bridge, art galleries, restaurants, biking, kayaking on the Housatonic River….a little something for everyone. Here are my updated teaching calendars for this year and into next year. Soon my Summer travels will be taking me to Michigan and Oklahoma. 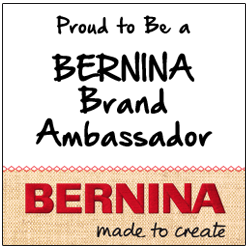 I look forward to meeting you in a future workshop or lecture wherever it may be!